“Both the rising sea and the storms that come and destroy local communities have a major impact on people’s lives. 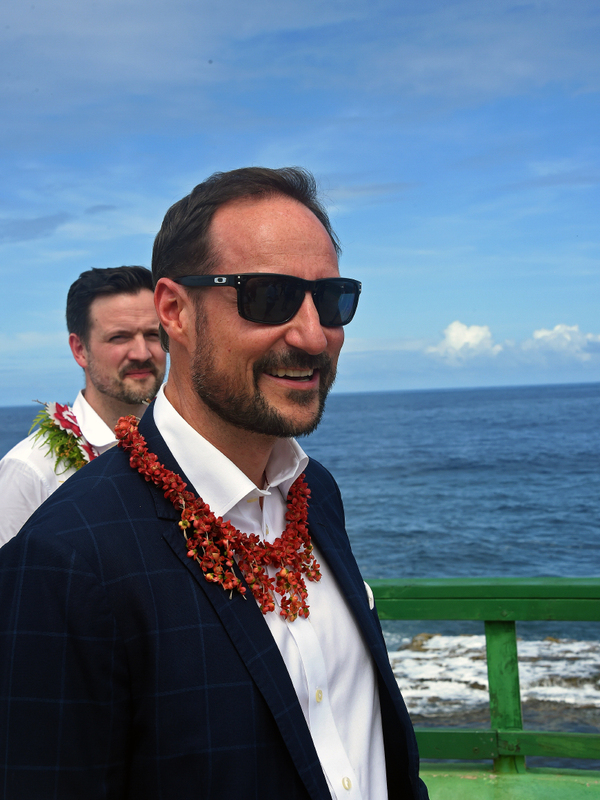 It is sobering to see,” Crown Prince Haakon told the NTB new agency today. Combatting sea litter and the impacts of climate change is a matter of survival for the islands of the Pacific Ocean. Much of Tonga lies very close to sea level, and most residents subsist on agriculture and fishing. The rising sea, erosion and increasingly frequent cyclones do enormous damage. 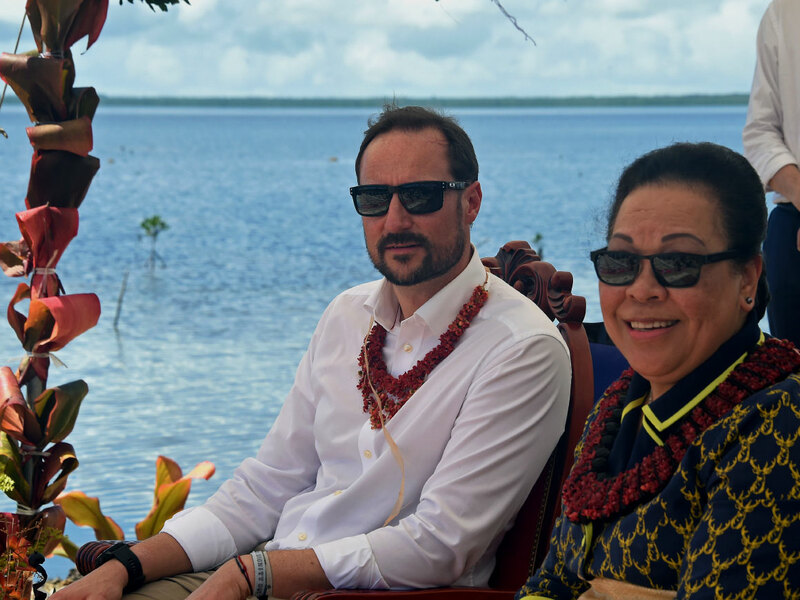 Today, Crown Prince Haakon and Norwegian Minister of International Development Dag-Inge Ulstein viewed the effects of climate change on the island of Tongatapu at close hand. Every year the sea rises a few millimetres. 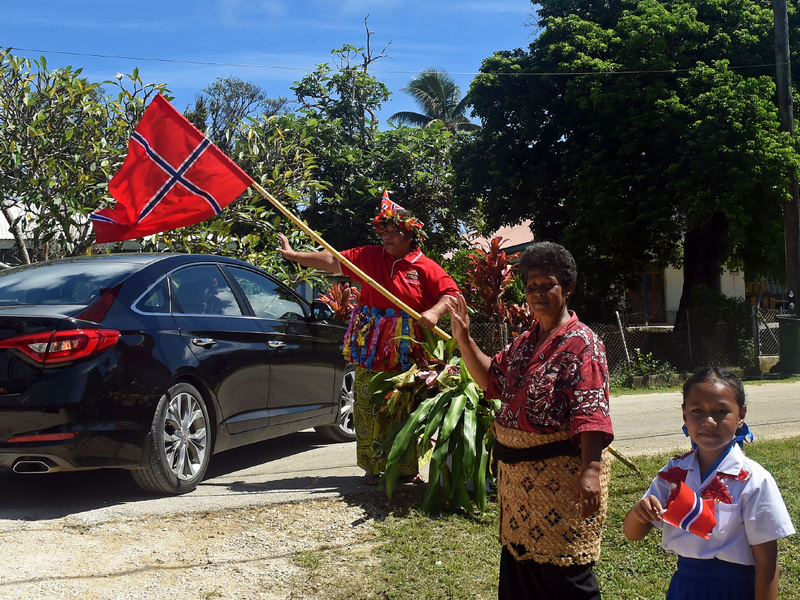 Around Tonga, it has risen more than 7 millimetres a year since 1993 ­­­– so far, more than 15 centimetres. As the earth’s northern and southern glaciers melt, the sea rises far more here than elsewhere in the world. 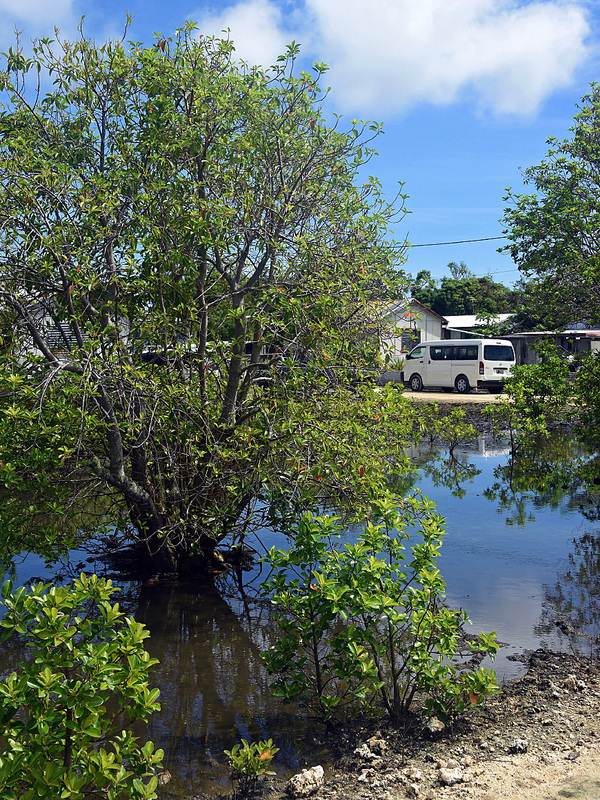 Most of Tongatapu is level with the ocean’s surface, so land that was previously cultivated is now flooded due to the rising water and extreme weather. If present trends continue, sea level will be 24–30 centimetres higher in 2065 than it is today - with dramatic consequences for Tonga. 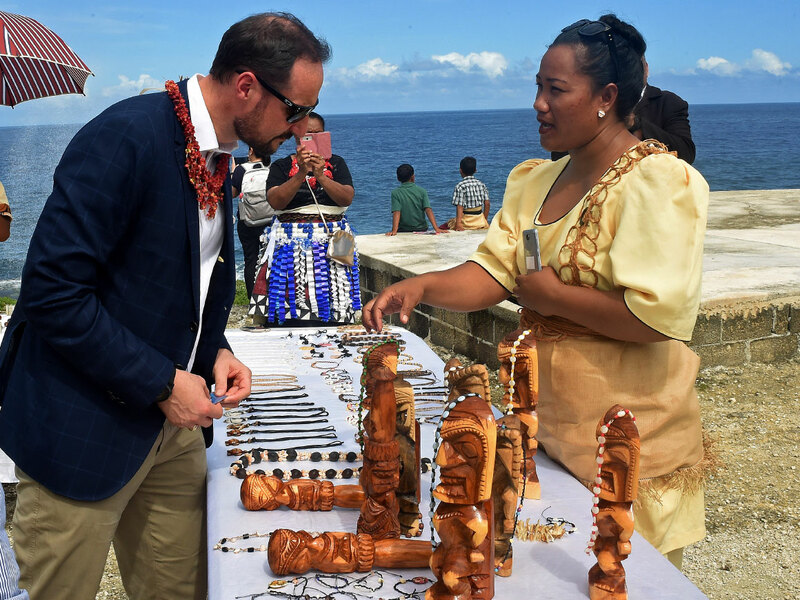 Crown Prince Haakon met some of the worried villagers at ‘Ahau and Kolovai beaches today. They described a sea that is slowly rising and penetrating into local gardens. 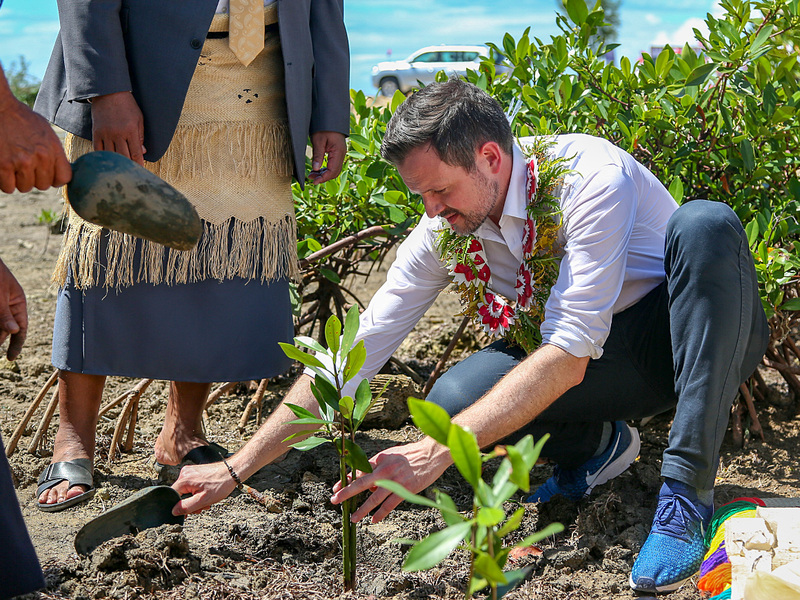 At ‘Ahau, residents have begun planting mangroves to protect the coastline. Mangroves thrive with plenty of water, and their root system helps to bind and stabilise the soil. 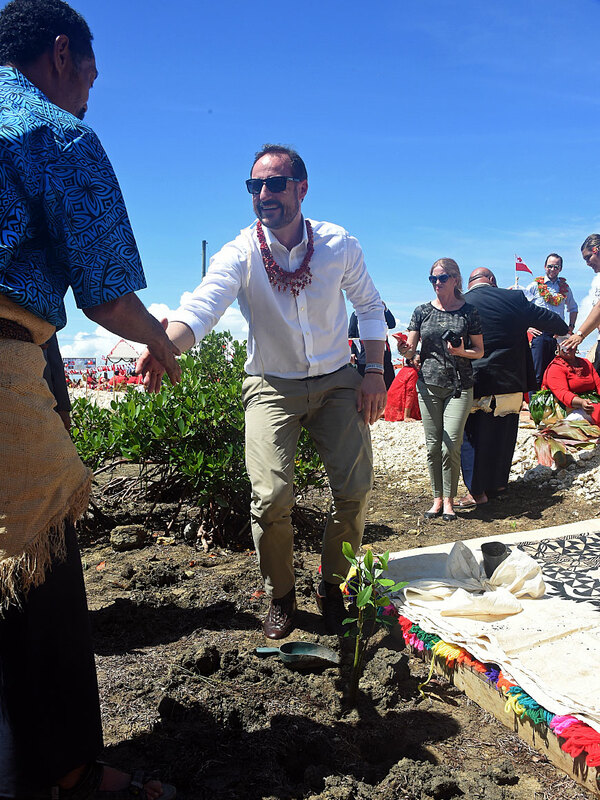 Today, the Crown Prince and Norway’s International Development Minister lent the village a hand, each planting a mangrove. In addition to causing the sea to rise, climate change has brought about more extreme weather. For Tonga that has meant major storms – cyclones – occurring more frequently than before. “Both the rising sea and the storms that come and destroy local communities have a major impact on people’s lives. 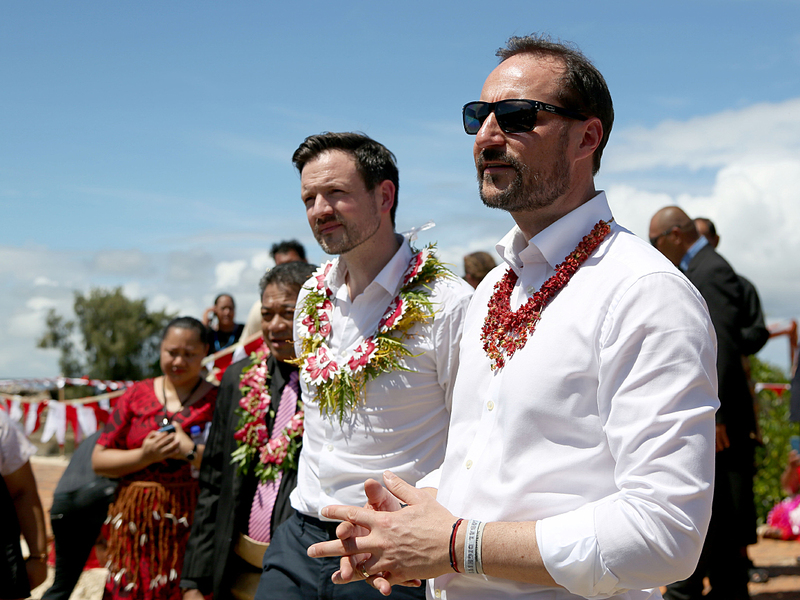 It is sobering to see,” Crown Prince Haakon said today in an interview with Norwegian news agency NTB. The first item on today’s agenda was a brief meeting with Tonga’s Deputy Prime Minister, Semisi Sika. 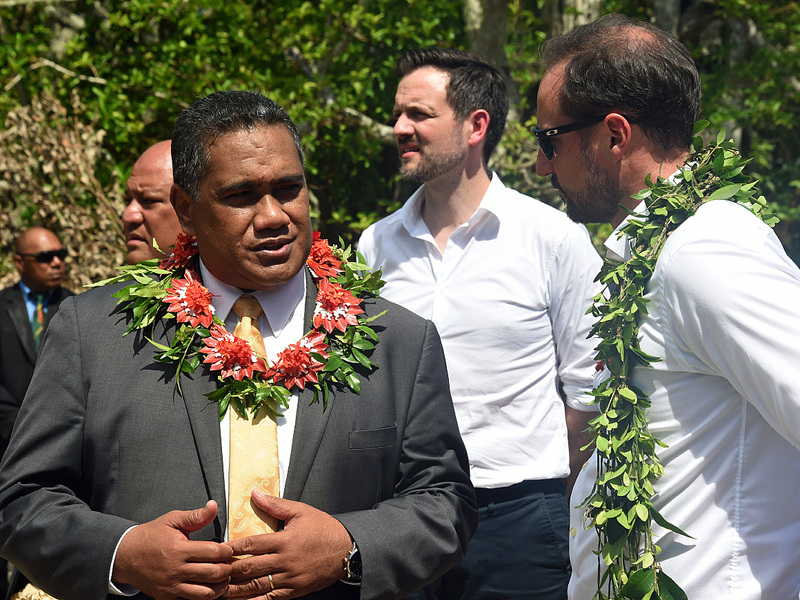 The two discussed challenges that Tonga and Norway share in relation to climate and ocean health. 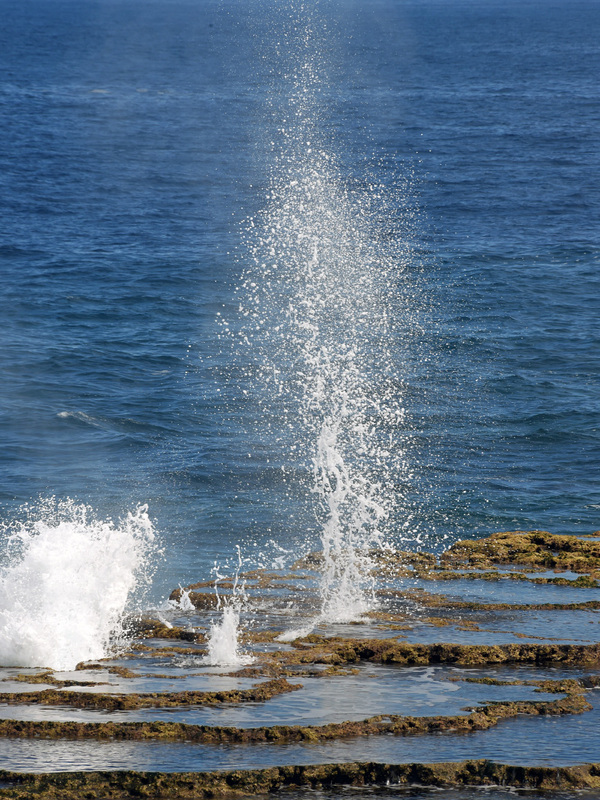 There was also an opportunity today to view a special natural phenomenon – the blowholes at the village of Houma. The phenomenon occurs as waves crash against the shore, pressing water through holes in the lava, spraying it many metres into the air. The visit to Tonga concluded with a traditional lunch at Likualofa. His Royal Highness Prince Ata spoke during the meal and stressed the importance of small nations standing together in the fight against climate change. Afterwards, Crown Prince Haakon and his retinue made their way to the airport. The farewell ceremony there included a surprise: a performance of the patriotic song "Norge i rødt, hvitt og blått" [Norway in red, white and blue] – in Norwegian. 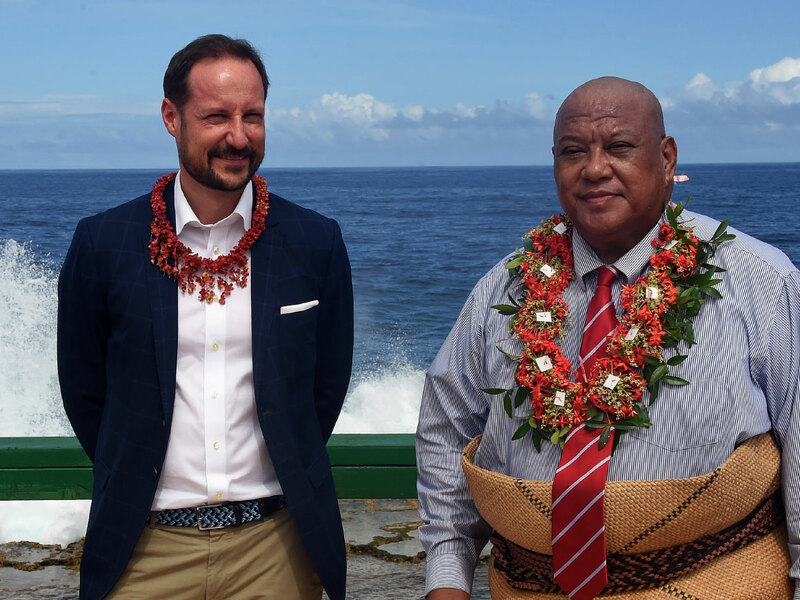 The next stop on the visit is Fiji. 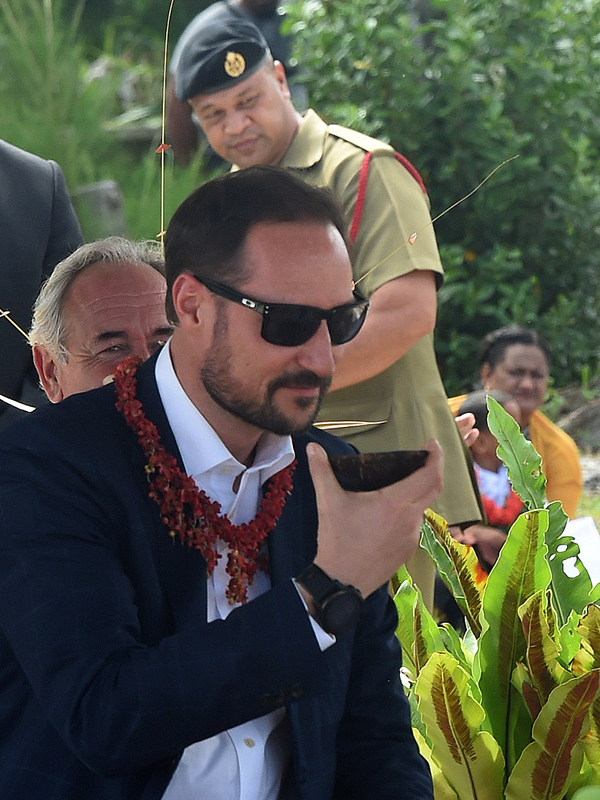 There, among other activities, the Crown Prince will meet with the President, speak to students at the University of the South Pacific about sustainable development, oceans and climate, and try his hand at the region’s favourite sport: rugby.